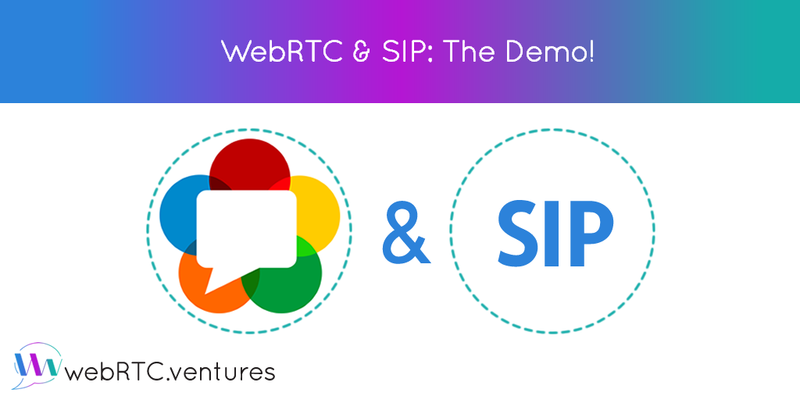 WebRTC & SIP: The Demo! 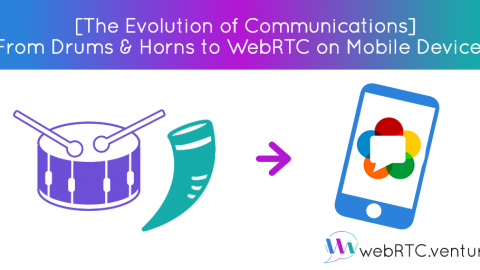 WebRTC and SIP are two of the most important technologies in today’s real-time communication ecosystem. 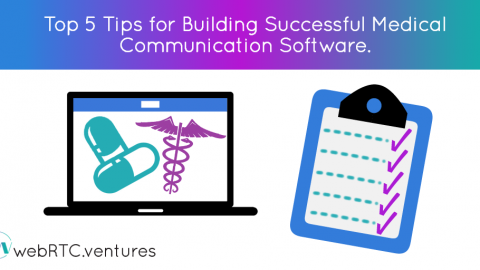 Session Initiation Protocol (SIP) is heavily used in VoIP technology; webRTC is used for browsers, mobile devices and native communication capabilities without additional software plugins. 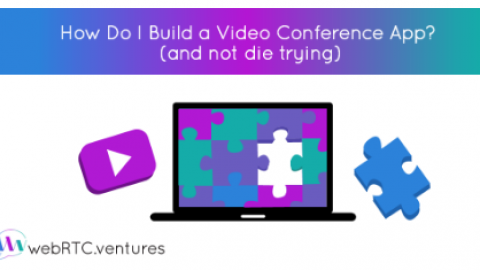 In this article we will show you a demo of how these two can be used together to build a simple video conferencing web application. Session Initiation Protocol (SIP) is a text-based communication protocol for signaling and controlling multimedia sessions on an IP network. In other words, SIP is used to set up and modify calls between two or more endpoints. 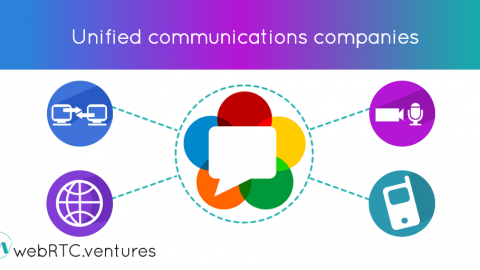 WebRTC defines APIs and standards that enable browsers the access to media devices, (camera and microphone)and peer-to-peer connections to other endpoints. 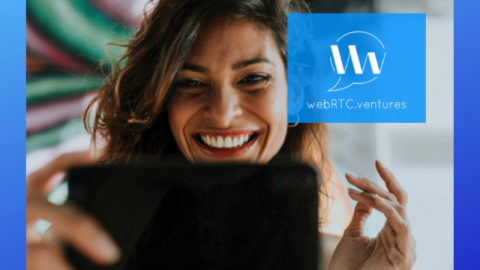 An important thing to note is that in WebRTC, the mechanism to negotiate the connection is not specified. This is fully intentional to allow the developer to implement what suits best. It is precisely there where the SIP protocol fits perfectly as a powerful signaling mechanism to negotiate call parameters. You also need a SIP server, in this example we’re using Asterisk. If you’ve never used it before, don’t worry we will cover the installation too. For this application we used two libraries: JsSIP and sdp-interop-sl. The first is used to enable SIP support and the latter to make some modifications to SDPs that are currently required when using Chrome browser. Both libraries are already included in the example code, which is hosted on Github. Go ahead and clone it to follow along. We’re building a simple video conferencing web application. You log in as Bob and Lucy, two friends that met after college. Lucy Steele, interviewed the young magnate Bob Grey, an intimidating and good looking guy with singular tastes… Ok I think we’re drifting off our course, let’s just say that they want to communicate with each other using nothing more than the browser. So they open our web application and log in, the app will send a REGISTER message to the SIP server which responds with an OK message. 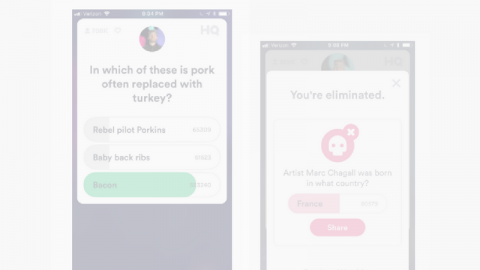 Then, Lucy types Bob’s name and clicks “Call”, the app gets access to media devices using WebRTC APIs and sends media details in the INVITE message. After a couple of ACKs and other types of messages the call initiates and communication begins to flow. Finally Bob clicks on “Hang up”, the app sends a BYE message to the server and after Lucy sends an ACK, the call ends. 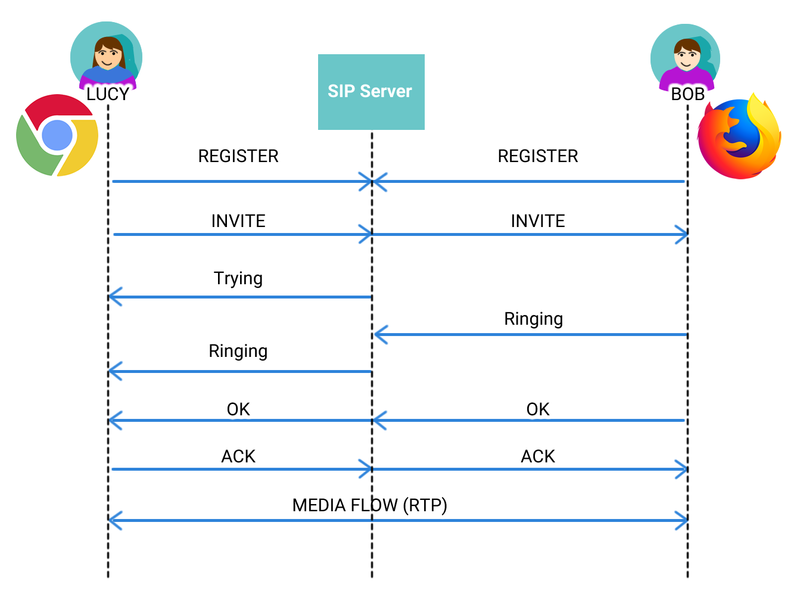 All these uppercase words are typical SIP messages, and as you can see in the image below we are looking at a traditional SIP call flow. 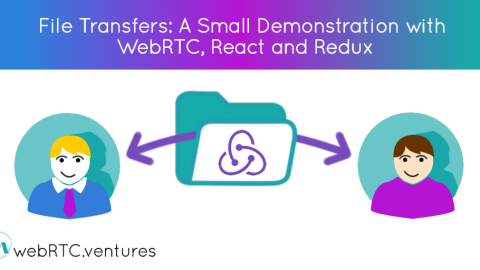 The difference is that we use the WebRTC APIs to bring the communication process to the browser. Alright, let’s get our hands dirty and get this application built. Use your favorite code editor to open the project folder. The directory structure is shown below. The asterisk-conf directory contains the configuration files for our Asterisk instance, the js folder contains our application code and the required libraries. Ssl contains the certificates to serve the application using https, and in the root folder resides the index.html, .gitignore, package.json and README.md files. Note that we are using a very insecure password for the endpoints, when setting up in production be sure to change it for a stronger one. Finally start the asterisk service by typing: sudo systemctl start asterisk. The application consists of two main files: index.html and js/main.js. We will show you the most important aspects of each. The index.html file contains the HTML code for the app, this includes: the text fields, buttons and video elements. Below is the body of the web page, you can see that the login and call controls, and video elements are in different div tabs. Also note that some elements are not visible from the beginning, like the “Hangup” button. 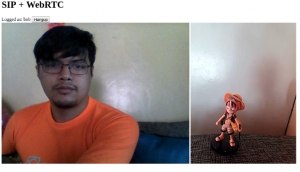 The visibility of the HTML objects is controlled via the CSS property display. Then we add the event listeners for the buttons. First let’s look at the ‘Click’ event on the login button. Some of the lines of code have been omitted for brevity and replaced with comments. We begin by creating a websocket connection to the server, which is passed as a parameter, along with other values like the caller uri and password, to the User Agent instantiation. Then we define some event listeners for the User Agent object, the most important is the ‘newRTCSession’ shown below. This event is triggered when a new session begins and receives such session as a parameter. Inside the ‘newRTCSession’ we define some session events that manipulate the sdp when using Chrome, and that add and remove the media stream when the call begins and ends. //manipulates the sdp on Chrome. After the user has logged in, he is ready to initiate a call, and once in a call, he will want to eventually end it. Below are the event listeners for the “Call” and “Hangup” buttons. With the application running, open two browser tabs and go to https://localhost:8080 and log in as bob and lucy. And voilá, you will have your video conference powered by WebRTC and SIP. 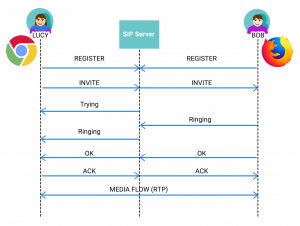 WebRTC and SIP play very well together. 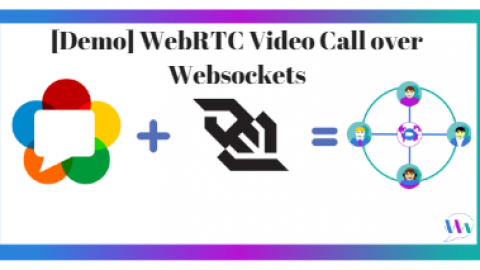 WebRTCprovides video conferencing capabilities to browsers and SIPprovides a mechanism to negotiate call parameters. Contact us today! At webRTC.ventures we can help you capitalize using these two applications to create your best simple video conferencing web application.